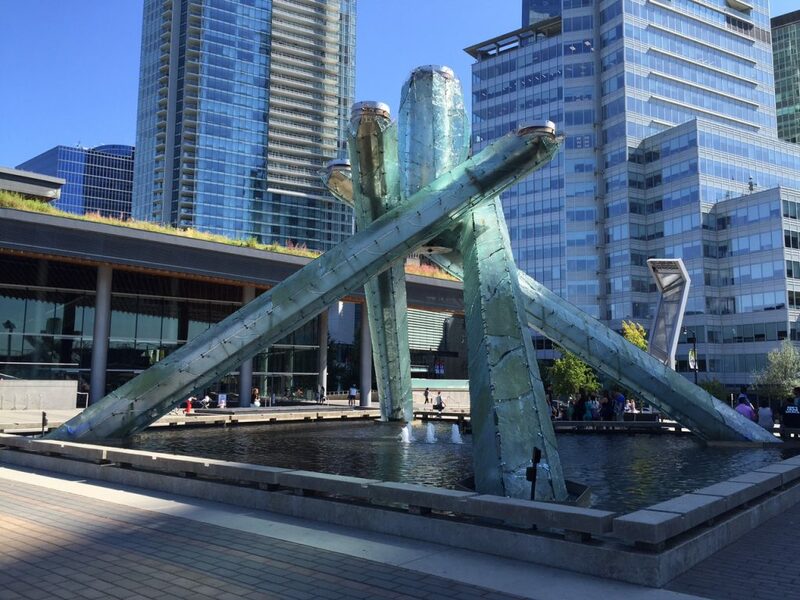 The outdoor Olympic cauldron from the 2010 Vancouver Winter Olympics is located in the Jack Poole Plaza outside the Vancouver Convention Centre. The cauldron was originally lit by ice hockey player Wayne Gretzky on 12 February 2010 during the Opening Ceremony of the Winter Olympics. It is now lit for special occasions and the anniversary of the games. Located in trendy Gastown the Lamplighter Public House seems almost out of place with its rigid façade; but once inside you can feel the relaxed vibe that invites you to stay for a drink and a nibble. They specialise in local craft beers, which you would expect from the hosts of the Gastown Beer Society which meets every Thursday. I know what you are thinking. This doesn’t sound free! 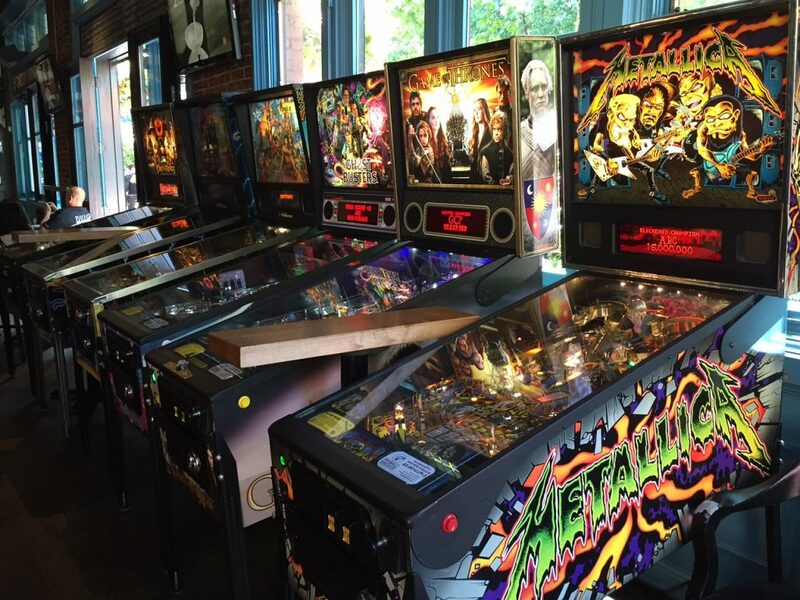 Along the far wall is a row of pin ball machines that are aching to be played. They have themes stretching from Metallica to Game of Thrones and at only $1 a play, while not technically free, they are certainly budget friendly and a whole lot of fun! With buses zipping all over the city it can be easy to miss one of the highlights of central Vancouver. The waterfront walks are well paved and bicycle tracks are available for those keen to get on 2 wheels. The walk between the Vancouver Convention Centre and Stanley Park is a must with photo opportunities at every turn. 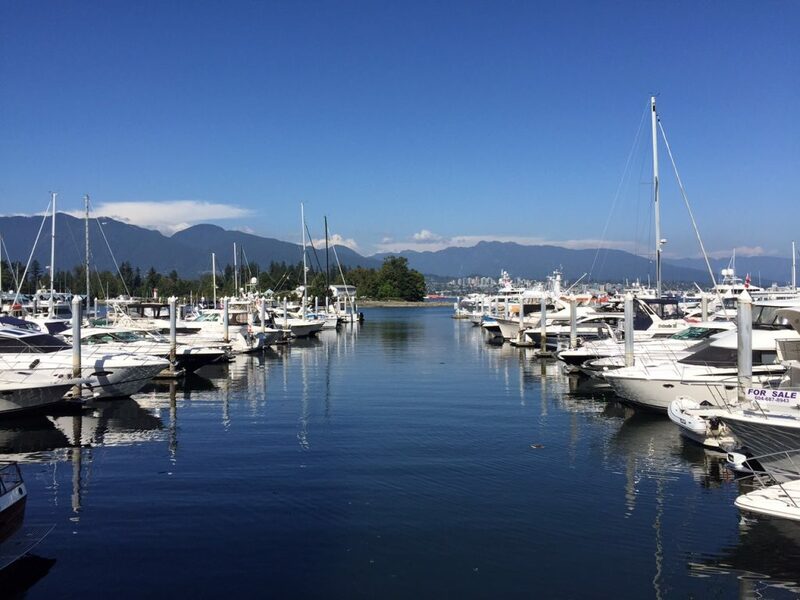 There are sea planes taking off, boats moored in the harbour and sea birds flying about, plus the mountains in the distance make a scenic backdrop. The Steam Clock is located in Gastown and is one of only a handful of steam clocks in the world. 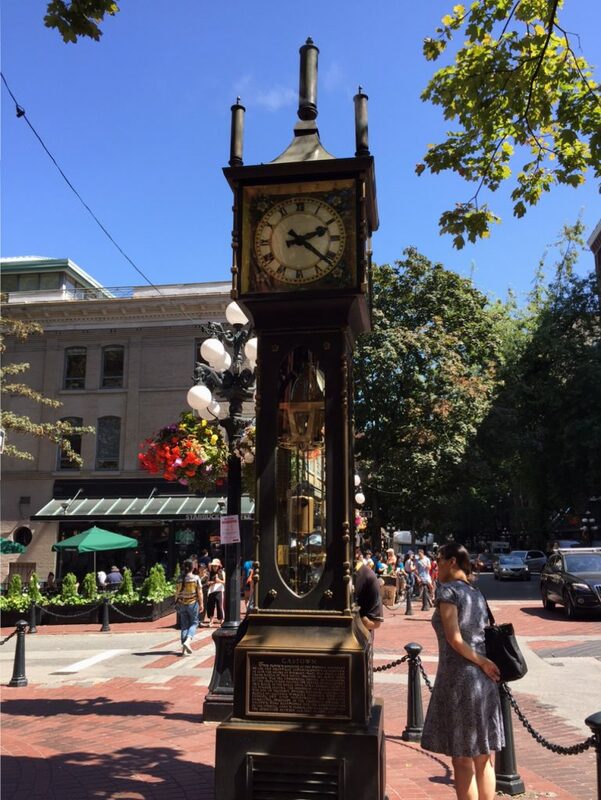 While it looks old the clock was actually installed in 1977 to cover a steam vent on the popular Gastown street that was releasing steam from the downtown Vancouver heating system. The clock whistles every quarter hour and it is very popular with tourists so come early if you want a photo without people posing in front of it! Gastown is a dreamer’s delight. Its tree lined streets, hipster cafes and old time feel are enough to put anyone at ease. The region was where the original Vancouver settlement was based which flourished until the depression in the 1930’s. The area was due to be demolished in the 1970’s when protests resulted in rehabilitation instead. 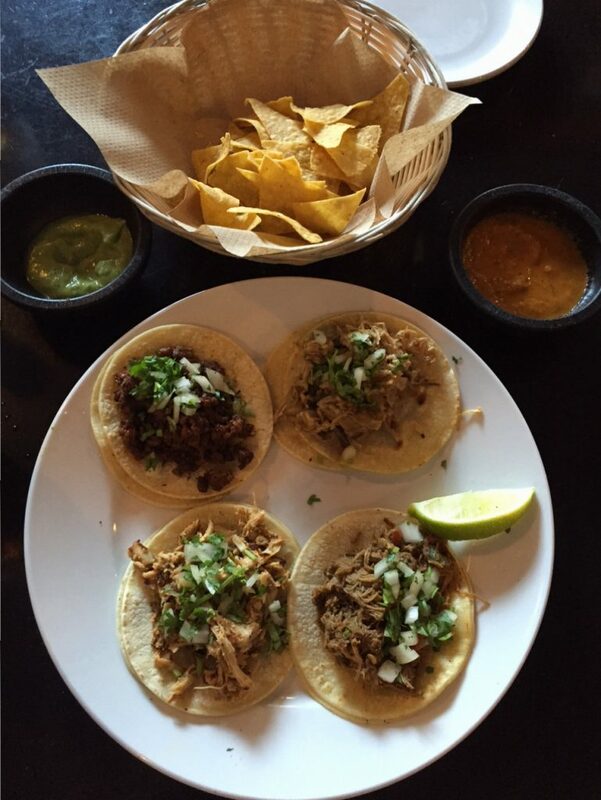 The area is now popular with locals and tourists alike with local food and craft beers pulling crowds. 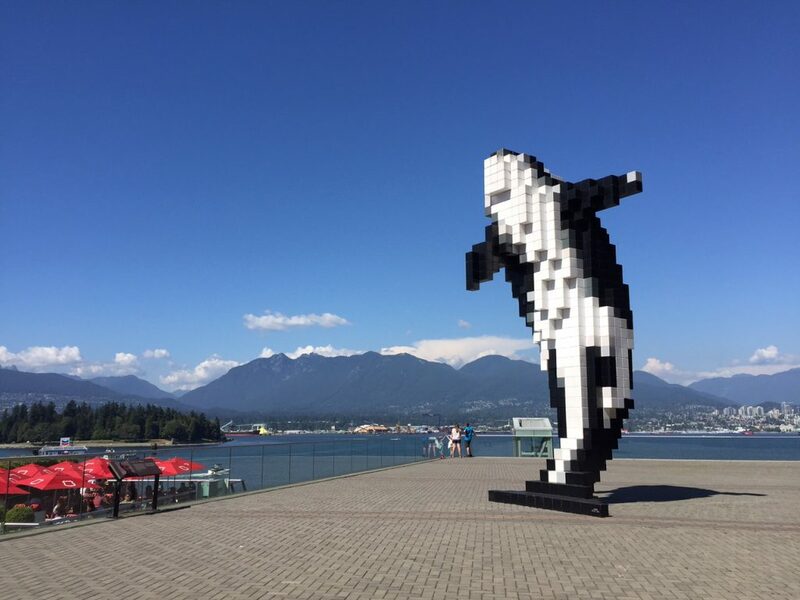 The Digital Orca was designed by Douglas Coupland in 2010 and is located near the Vancouver Convention Centre. The cubic feature of the Orca was designed to make the viewer see a known and natural object in a new, more modern light. The pixelated sea creature almost appears to be breaching towards the distant mountains. This old Art Deco building is tucked away behind more modern skyscrapers, but don’t let that fool you, it is the most charming of the lot! It was built in 1930 and at the time was the tallest building in the city at almost 100m. 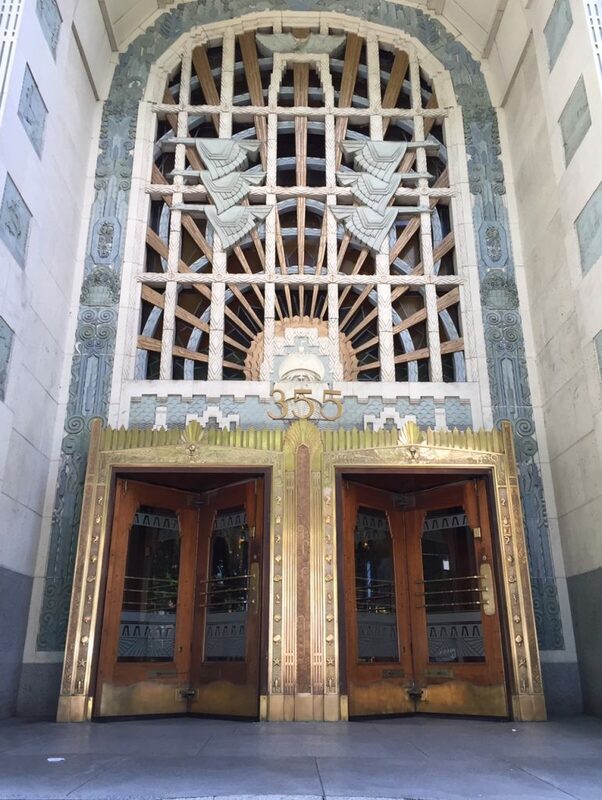 More recently the building has featured in many movies and TV productions including Blade, Fantastic Four and Smallville where it was the scene of the Daily Planet! Stanley Park is to Vancouver as Central Park is to New York. The park is filled with attractions and trails. There are bike paths, pedestrian paths and forest trails and you can even take a horse and carriage ride around the park. There are many attractions but two of the best are the Totem Poles and the Girl in the Wetsuit. 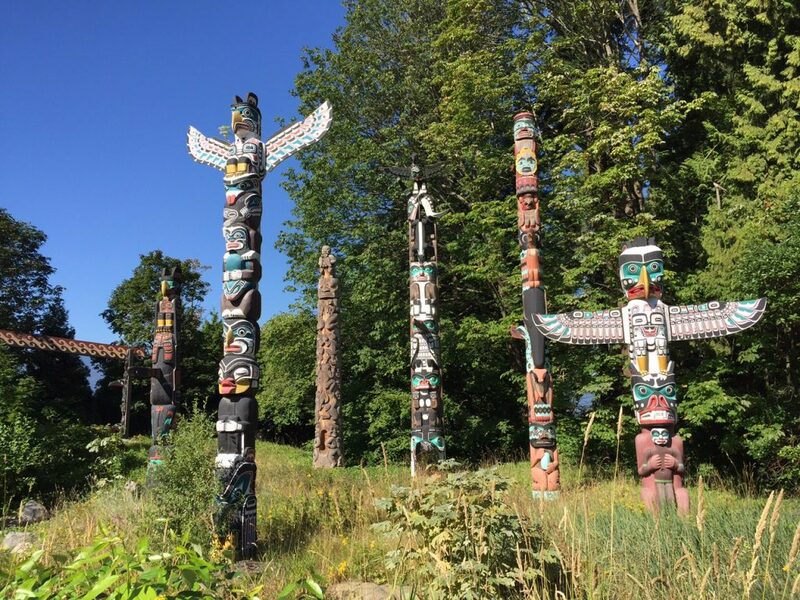 There are 6 totem poles on display, each with its own distinctive design. There are plaques explaining the significance of each one. The Girl in the Wetsuit is a small bronze statue located on a rock that is reminiscent of the Little Mermaid in Copenhagen, Denmark. You will find the more modern (and modest!) interpretation is just as appealing. You can easily spend a day exploring Stanley Island but make sure to bring your own food and drinks as the prices on the island are outrageous! 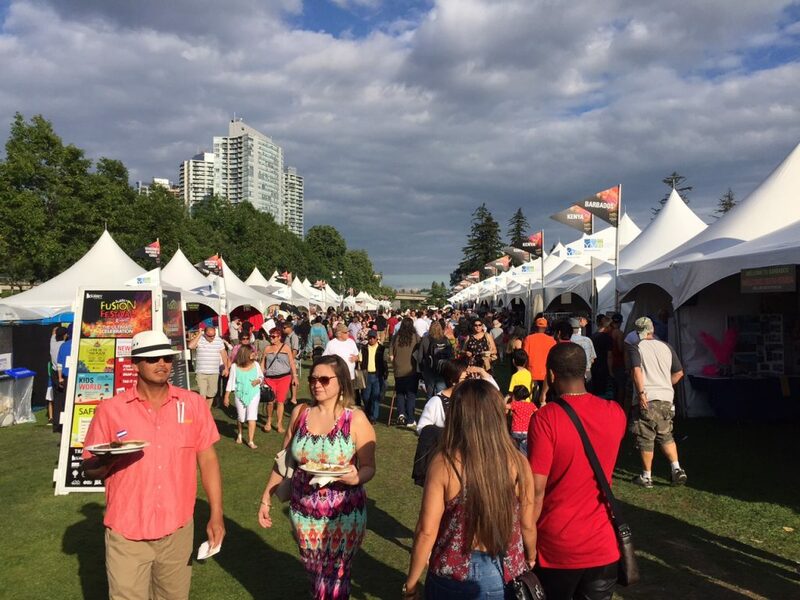 The Surrey Fusion Festival is a celebration of all things international that is held in July each year. There are stalls representing different countries featuring local foods and handcrafts. Entry is free and there are a number of stages where performers of all ages and backgrounds present acts from countries around the world. Surrey can be reached by taking the Skytrain to Surrey Central or King George stations and Holland Park is only a short walk away. Lynn Canyon is located to the East of North Vancouver. 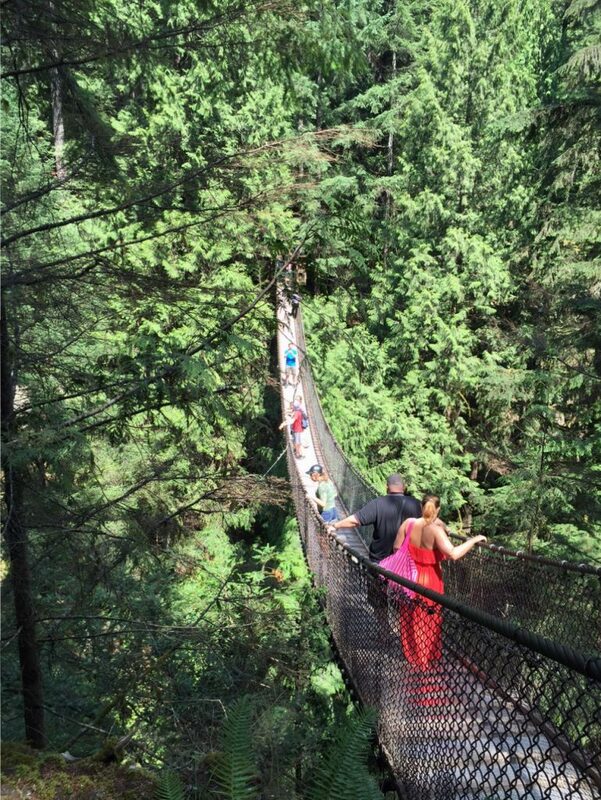 The canyon features multiple forest trails, a plunge pool, an Eco Centre and a suspension bridge that is just as beautiful as the more expensive Capilano bridge to the West. The entire area is free to wander, bridge included. There is a café (I recommend the Mountain Climber burger) and bathrooms at the main entrance of the park and plenty of outdoor seating for picnic lunches. To get there take the Lonsdale Seabus across the harbour, take the 228 bus to Peters Road stop and walk up Peters Road until you see the park at the end. Take a swimsuit if you are brave enough to take on the 10 degree Celsius plunge pool!